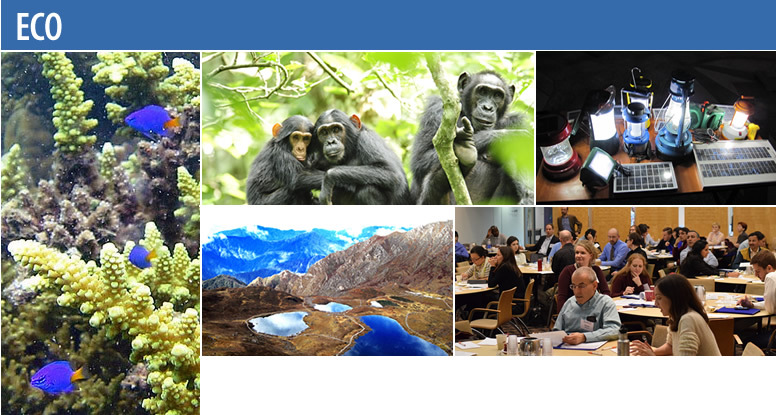 USAID’s Environmental Communication, Learning and Outreach (ECO) contract was a five-year project aimed at improving learning and communications in the Environmental and Natural Resource Management and Global Climate Change sectors for USAID staff and the broader development community. Working with four offices in USAID’s Bureau of Economic Growth, Education and Environment, ECO facilitated learning, enhanced communications and broadened knowledge management to improve programs. The ECO team partnered with staff in Washington, D.C., and collaborated with missions and partners worldwide. Enabling learning environment: building synergies among the four tasks will reinforce learning and support on-the-job application. This Learning Strategy is designed to provide access to learning opportunities for staff to improve performance and programming in a dynamic environment, while being mindful of the limited time available to staff for formal learning. Over time, the increased individual capacity and performance positively impacts the overall organizational learning and performance, which in turn contributes to more effective developmental outcomes.